I got to admit, this post is a little silly since it has nothing to do with the actual Bitcoin world. However I found myself downloading a mobile game called “Bitcoin Billionaire” by NoodleCake Studios a few days ago and since then got heavily addicted. Bitcoin Billionaire is a mobile game for iOS and Android in which you play a young entrepreneur who decides to start mining Bitcoins in order to become rich. The game is pretty simple, you tap the screen in order to mine Bitcoins and you invest your newly earned coins into new Bitcoin mining rigs and other investments that yield Bitcoin. From time to time financial events will occur – like Bitcoin’s price going up, someone robbing you, etc. This will of course affect your overall wealth. I’m sure it doesn’t sound very interesting at first, I didn’t think it had much to it as well. But somehow, through the simple gameplay, cute graphics and funny character quotes you find yourself getting addicted to this, well….stupid, game. Mostly I play this game when I’m trying to pass the time as there’s nothing much to do other than tapping the screen as much as you can. When the game starts you’ll a short message (see below) – I couldn’t agree with it more now that I’ve played the game for the past week. As you progress throughout the game your scenery will change, you will get to new clothing, pets and even get to travel through time, trust me it’s all very enjoyable. And apparently not just for me, the game got a 4.5 rating from over 185K reviews on Google Play and a 5 star rating from over 33K reviews on the app store. If you want to play the game you can download it for Android here and for iOS here. Tap with more than one finger at a time (duuhhh). Many people say tap with 2 finger on each hand but I found that using 4 fingers on a single hand on after the other works best for me. Make sure to upgrade your Bitminer when you can as it will give you more Bitcoins per tap. There’s a total of 75 Bitminer upgrades available. When you upgrade miners you will also get cool new stuff for your house (or a new house altogether). The upgrades happen each time you go up a version in your Bitminer (e.g. from Bitminer 7.6 to Bitminer 8.0). Purchase investments so that you will keep earning Bitcoins even when you’re not tapping and even when you’re not playing the game. Move between investments as quickly as possible (even though it’s expensive). Each day you get daily rewards such as the ability to collect up to 25 hyperbits and a daily spin on the Bitcoin roulette. Make sure to take advantage of these bonuses as much as possible. The game uses a pretty smart way to get users to view ads. Whenever something “bad” happens, like the price of Bitcoin going down, you can avoid that event by watching an ad. Depending on the event consider watching an ad in order to cancel it. It may be worth watching a 30 second ad instead of tapping 5 more minutes to get that money back. On the other hand, whenever something good happens (e.g. Bitcoin’s price goes up) you can double the effect by watching an ad as well. Again, it may be worth your time to watch that ad. Complete achievements in order to earn free coin bonuses on a permanent basis. Go to the achievement section in the menu and look for the ones that have a coin next to them. These achievements will each earn you a 5% permanent coin bonus until you reset the game, so complete these ones as quickly as possible. You can earn Hyperbits by going to the “Store” and looking under “free stuff”. In that section you will be able to earn Hyperbits by following Bitcoin Billionaire on Twitter, Enabling push notifications and more. You can pay 1 Hyperbit in the store in order to redesign your character. If you want to receive bonuses for your coins adopt a car or get a mini time machine by paying the number of Hyperbits needed on the “store”->”pets” section. If you have a large amount of Hyperbits you can go to the “Superhcarge” section and get some major bonuses like x200 mining power, the ability to just hold your finger on the screen instead of tapping and more. If you’re really lazy just make sure to accumulate enough offline investment and leave your phone without auto sleep working for the night. You can reset the game from the “settings” menu whenever you want. However if you reset it after getting the Bitminer 25.0 you will geta a built in Bitminer bonus percentage, making your second play through go by faster. 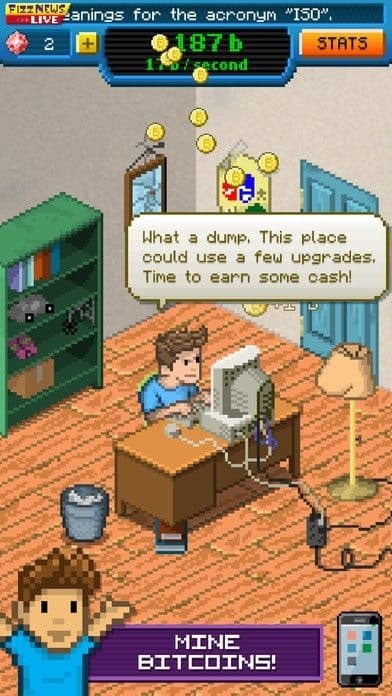 Game glitches – where there is an inherent bug in the game that allows you to earn more coins or Hyperbits. Download a modified file that will give you a large or even unlimited amount of coins. This will be available for Android phones only. Unfortunately the first option is probably gone, since I couldn’t find any game glitches that haven’t been rendered by the game developers (if you know of anything like this please add it in the comment section below). The second option is risky, because you’re basically downloading and executing a file on your phone that you do not know its origin. This means that the file may contain malware or some other nasty stuff, so do this at your own risk. The term “mod APK” stands for “modified Android applications package”. It’s basically a cracked file of the original game with some modification. For example, you can find a modification that gives you unlimited Hyperbits, a mod that supplies you with unlimited Bitcoins or even free shopping. 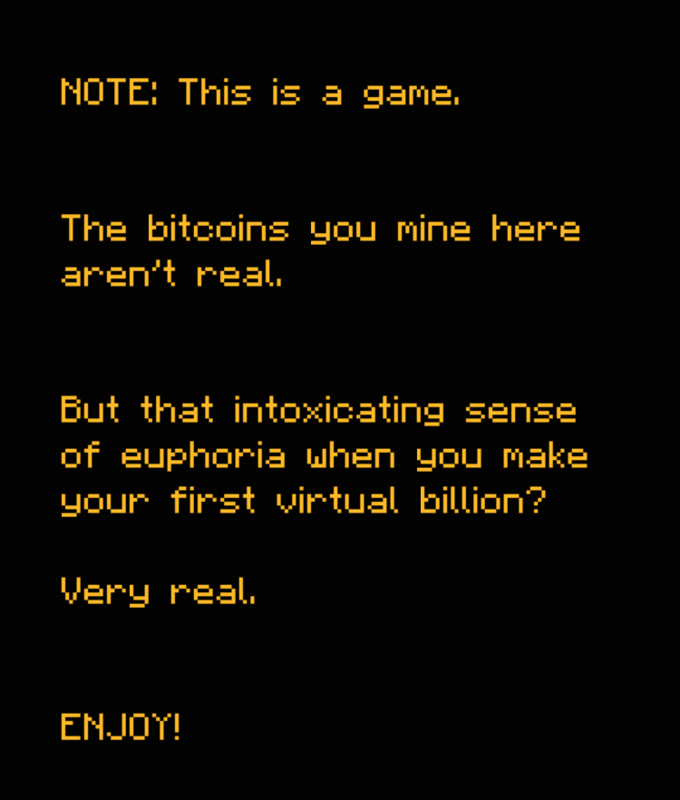 All in all Bitcoin Billionaire is a great time passer, even though it doesn’t have anything to do with the actual Bitcoin other than its name. I wish the company would have made a game that is as educational as it is fun to play. Perhaps this would be a great way to teach people what Bitcoin is. Have you played this game? I’d like to hear your opinion in the comment section below.